Northwet GS riders and associated dual sport fans gathered once again in the woods of Gifford Pinchot National Forest in the middle of several volcanos. Mt. Adams, Mt. St. Helens and Mt. Rainier to ride motorcycles on gravel roads to vistas and lakes in the area. Some of us rode up into the woods to gather mushrooms for the pot Saturday night. If you were there you know what this was like. 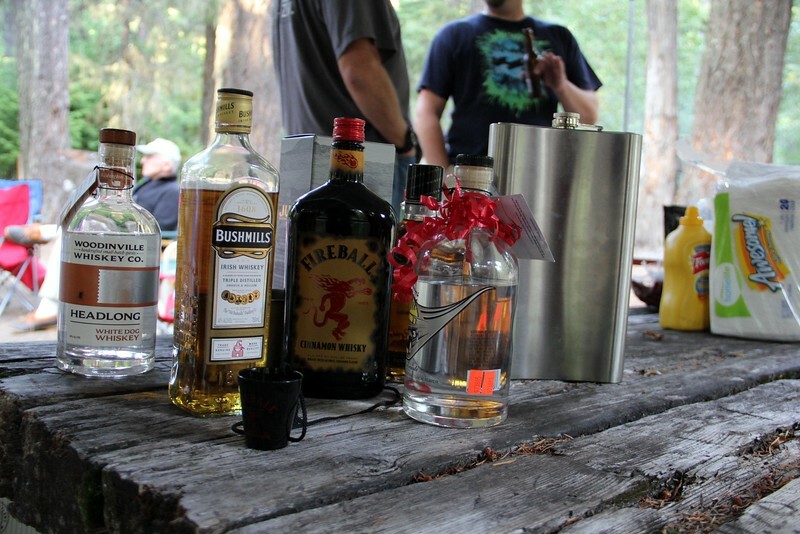 If you missed it, you missed a great time with friends new and old in the old growth forest at Adams Fork campground. Wayne Elston and Joe Rogers have put this gig together each year for the last several years. It is a highlight of the riding season where we see old friends, meet new ones and exchange stories of rides we have completed this past summer. Fun.